Quintessential British foods to try – What It Is? When it comes to food her in the UK we know what we like and we spend a large amount of time cooking up a feast in the kitchens that we carefully have designed by Kitchens Doncaster style companies. If you are thinking of have your itchen altered in any way go to Christies for kitchens in Doncaster and see what they have to offer and how they can create the kitchen of your dreams. Fish and Chips – we love our takeaway fish and chips so much in the UK that we have even rated most of the fish and chips shops around with awards being given to the best. You can find takeaway serving these fried delights everywhere from inner cities through to seaside towns. 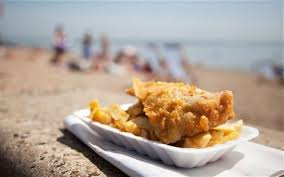 Some people will tell you that eating fish and chips out of the wrapper whilst sat on or near to a beach in a coastal area of the UK is something that everyone should experience at once in their lifetime. Haggies, Tatties and Neeps – a Scottish delight is the dish consisting of a traditional haggis, which tastes a little like a spicy sausage, that is served alongside what is known as tatties (mashed potatoes) and neeps which are mashed turnips. It is a much loved dish North of the border and should be on everyone’s to try list. Why not wash it all down with a delightful glass of whiskey? Steak and Kidney Pie – we are very much a nation of pie lovers and at the top of the list in term sof traditional pies is that of a steak and kidney pie.Cuts of steak and kidney are placed in a thick tasty gravy and encased in shortcrust pastry. You will find it served with mashed potatoes and a select of vegetables. Full English Breakfast – We are internationally known for our cooked breakfasts with many people amazed at the amount of food that they have as a breakfast option. 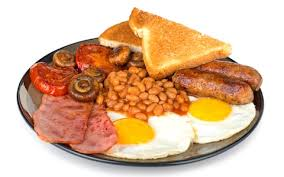 Your traditional full english will usually consist of sausages, bacon, eggs either poached, fried or scrambled, baked beans, tomatoes, mushrooms and a slice of toast. In some areas of the country you will also find the addition of a slice or two of black pudding. Sounds good doesn’t it!